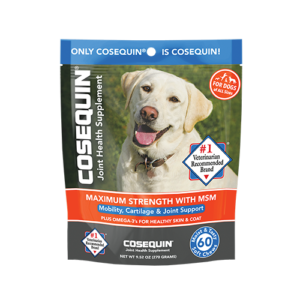 What Is Cosequin® DS Maximum Strength Plus MSM & Omega-3’s Chewable Tablets? 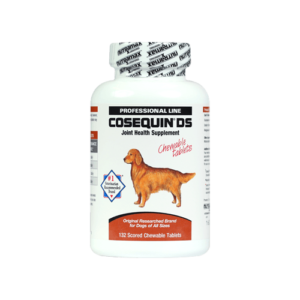 Cosequin® DS Plus MSM & Omega-3’s contains FCHG49® Glucosamine Hydrochloride, TRH122® Sodium Chondroitin Sulfate, MSM (Methylsulfonylmethane), and Omega-3’s. 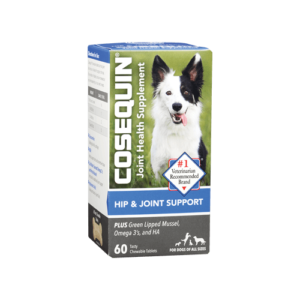 The combination of Glucosamine, Chondroitin Sulfate and MSM helps maintain joint cartilage and connective tissue. 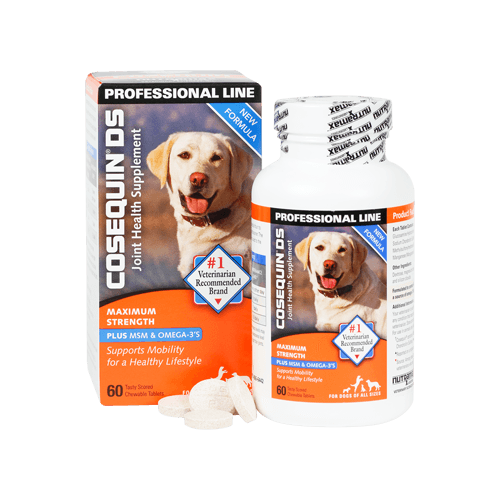 Each chewable tablet also contains omega-3 fatty acids which supports healthy joints. 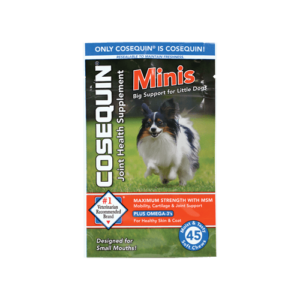 Use Cosequin® to support mobility for a healthy lifestyle in your pet! ▴ Once consistent improvement has been seen, these maintenance levels may be reduced to every other day. 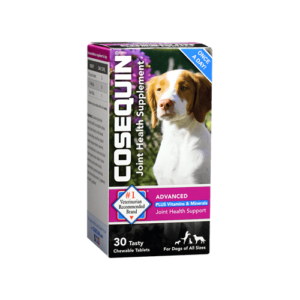 The maintenance level can also be used long-term on healthy dogs to help support their joints. 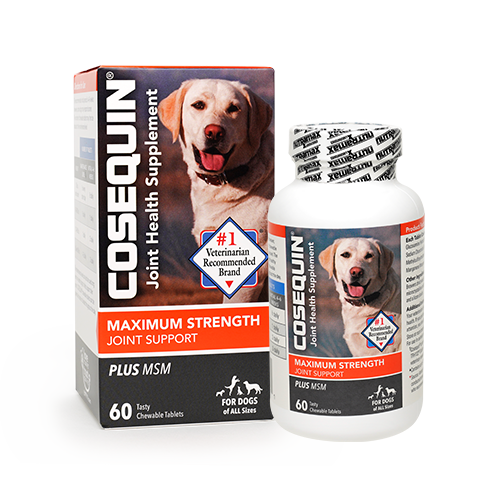 Formulated to contain 40 mg of a proprietary blend of marine lipids, a source of Omega-3 fatty acids. 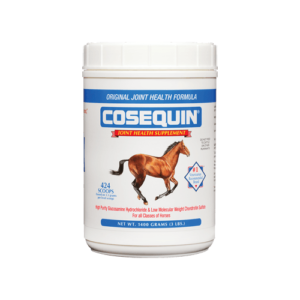 †Cosequin® contains FCHG49® Glucosamine and TRH122® Sodium Chondroitin Sulfate, proprietary veterinary researched specifications. ▴ Contains up to 10% moisture. Be in the know! Get the latest special offers and news delivered to your inbox.